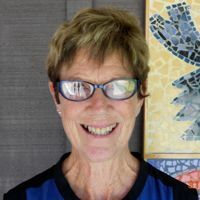 Penny Cooper is Maitai School’s Deputy Principal and has taught numerous children and young people since she came to Maitai School in 1994. She was head teacher at the former Auckland Point satellite class until she took on the role of Curriculum Leader, in 2007, and then Deputy Principal in 2008, at Maitai’s base.Penny has a background in education of the deaf and hearing-impaired. She worked at Van Asch Education Centre in Christchurch over 19 years, while furthering her own education at Christchurch College of Education, where she gained her Diploma in Education of the Deaf and Hearing Impaired in 1984. Ellie Salcin-Watts is the Assistant Principal at Maitai School, and Head of Therapy – overseeing the school’s therapy team. 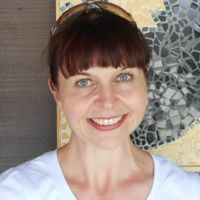 She came to Maitai School in late 2011 from Christchurch, where she has lectured at the New Zealand College of Early Childhood Education for three years. Ellie worked as a music therapist for eight years in the United Kingdom, Bosnia and Romania, following her graduation from the University of Bristol with a Post-graduate Diploma in Music Therapy in 2000.She gained her teaching qualification in 1997 at the former Auckland Teacher’s College, and studied for five years at the University of Auckland to gain her degrees in music and psychology. While Ellie is the Head of Therapy at Maitai School, she continues to provide music therapy to our students.